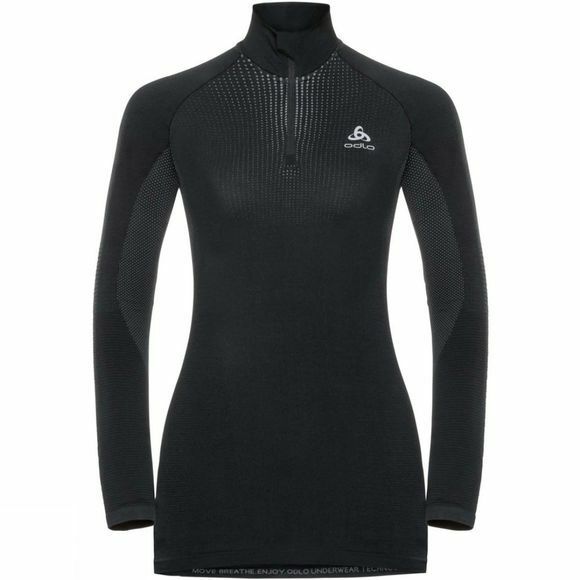 The Womens Performance Warm LS Half Zip from Odlo features advanced seamless construction for you to fine tune your personal climate and perform at your best in cold conditions. Performance Warm's sophisticated construction provides bodymapped thermocontrol and stretch zones, so it's seamlessly engineered to move, breathe, insulate and wick moisture exactly the way you want it to. As the inventor of the three-layer principle, Odlo is a brand synonymous with high quality technical baselayers and sports underwear. 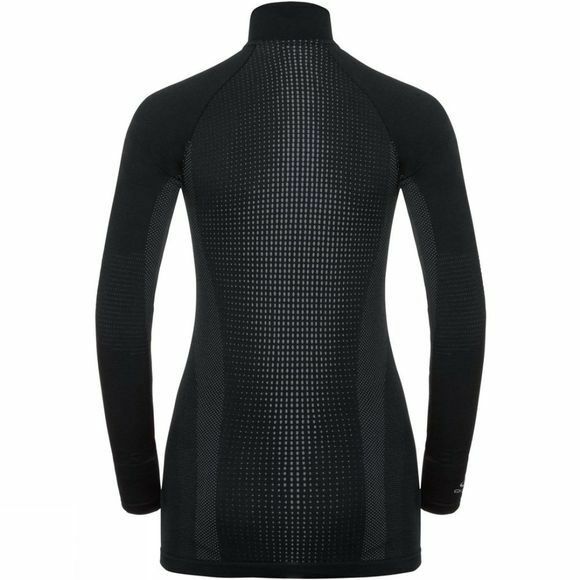 The Norwegian company combines typically Scandinavian, minimalist design with cutting edge technologies to produce stylish and functional apparel across six categories: technical underwear, running, training, cycling, Nordic disciplines and outdoor. Odlo was founded in 1946 by the eccentric, and brilliantly named, Odd Roar Lofterød. Lofterød began by manufacturing lady’s underwear, but soon began to produce sports training kit as demand for his garments grew. In 1963, now under the banner of Odlo, Lofterød developed a revolutionary new suit for skiers and speed skaters, made from a cutting edge synthetic fibre which gave the fabric an elasticity and fit unlike anything else on the market at the time. The suit was adopted by the Norwegian ski team for the 1964 Winter Games in Innsbruck and by the time the Winter Olympics in Sapporo came around in 1972, there were 22 national teams competing in Odlo gear. Today, Odlo’s is a firmly established active sportswear company and their three-layer principle has been adopted industry wide. The first layer, the underwear, is designed to ensure optimum moisture management. The second layer helps to regulate the wearer's temperature, while the third layer provides protection from wind and rain.